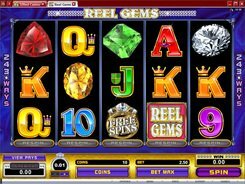 Reel Gems is another one of Microgaming’s video slots featuring 5 reels and 243 ways to win. 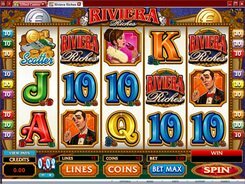 On the reels you will see playing cards from 9 to Ace, and five kinds of gemstones: topaz, sapphire, emerald, ruby and diamond. 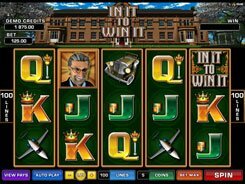 The game has a wild, a scatter, free spins and an exciting respin feature. You can opt to place up to 10 coins of the size ranging from $0.01 to $0.5, therefore the top bet is $125. 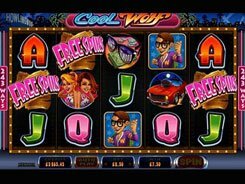 A wild symbol (the slot’s logo) substitutes for all regular symbols, appears on reels 2 and 4 only, and does not create its own winning combos. 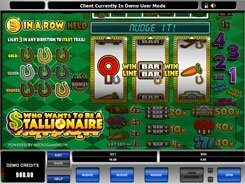 A scatter pays out up to x100 times a total bet and activates 15 retriggerable free games with all wins multiplied by x3. 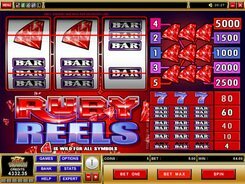 Reel Gems is equipped with a wonderful respin option allowing you to respin any reel to try to line up a winning combination. The feature can come in handy at times, like when one symbol is missing to make up a valuable combo. 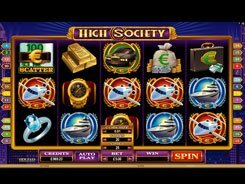 The top jackpot in the game is $20,000 awarded for lining up five White Diamond symbols.